Reserve Bank of India (RBI) is expected to give in-principle approvals for new banks during the first quarter of next year, Finance Minister P Chidambaram said. “At the first stage, the applications will be screened by RBI to ensure prima facie eligibility of applicants, including the assessment of fit and proper status of applicants,” he said in a written reply to the Lok Sabha on Tuesday. “Thereafter, the applications would be referred to a high level advisory committee to be set up by RBI. In view of the processes involved, it is expected that ‘in-principle’ approvals for new banks would come by the first quarter of 2014,” he said. The last date for submitting the applications for grant of new bank licence was July 1, he said, adding, RBI had received 26 applications. According to him, to achieve the objective of financial inclusion the new guidelines stipulate the banks to open at least 25 per cent of their branches in unbanked rural centres to avoid over concentration of their branches in metropolitan areas and cities. The guidelines also stipulate that the new banks should comply with the priority sector lending targets and sub-targets as applicable to the existing domestic banks. For this purpose, Chidambaram said, the bank should build its priority sector lending portfolio from the commencement of its operations. 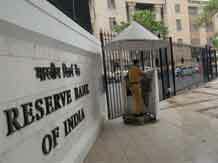 RBI has not invited any application from any foreign bank in the recent past, he said. Currently, permission for opening of branches by foreign banks in India is guided by India’s commitment to World Trade Organisation of 12 branches in a year, he said, adding, at present, foreign banks operate in India as branches of their parent banks. In a reply to another question, Chidambaram said: “It has been decided by RBI, that as a one-time measure, the financials of all these 34,754 companies (other than those registered with RBI) will be examined to ascertain their eligibility or otherwise for registration with RBI,” he said. “The main objective is to determine whether among these companies there are Non banking financial company that ought to have registered with the RBI for carrying on their non-banking financial institution activities,” he said.